ALBANY, NEW YORK, UNITED STATES, October 25, 2018 /EINPresswire.com/ -- One may use the term “parasite” to describe a person who relies on others for a great deal of their welfare, feeding and support, without doing much themselves. In the field of biology, parasitism is a type of symbiosis where two organisms live together. but one lives at the expense of the other. Though a very different kind of life, parasites exist just as do the vast array of plants and animals, birds, mammals, fish, insects, bacteria. They're of special interest because they require another living environment as a place to live—and some cause very serious diseases in people. Dr. John S. Mackiewicz is a retired biology professor who dedicated his career to studying the evolution and biology of parasites and the systematics of cestodes, or tapeworms as they are commonly known. Dr. Mackiewicz’s primary research focused on the ecology, morphology, systematics, zoogeography, host-parasite relationships. Your intestine is not a sterile environment. It's filled with bacteria, viruses, and depending on where you’ve been or where you live, you may also be the host for a parasite. There's no vertebrate group or even vertebrate individual that doesn't have parasites of some sort, because one of parasites' major adaptations are ways of getting from one host to another, just like getting from one island to another. Parasites take on a wide variety of forms, though most commonly as long, narrow worms, but they can also be single-celled parasites, like malaria, which gets into your red blood cells. 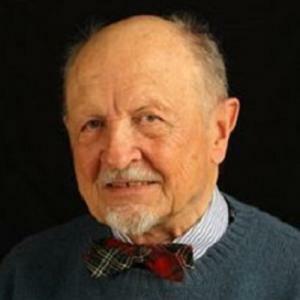 Dr. Mackiewicz began his advanced education at Cornell University, where he earned a Bachelor of Science (1953), Master of Science (1954) and Doctor of Philosophy (1960). Prior to obtaining his Ph.D., he served as Instructor of Medical Entomology and Parasitology at Cornell (1957-1959) and pursued a postdoctoral fellowship with the National Institutes of Health, where he continued his research at the Institute de Zoologie in Neuchȃtel, Switzerland. Upon arriving back in the United States in 1961, Dr. Mackiewicz joined the Department of Biological Sciences at the State University of New York at Albany, where he would remain for 56 years. In that time, Dr. Mackiewicz has authored or co-authored 86 publications and described 22 new species of tapeworms. In fact, his colleagues have named seven species of parasitic worms after him. CUTV News Radio will feature John S. Mackiewicz in an interview with Doug Llewelyn on October 29th at 3pm EDT.